Developers following the true gospel of Microsoft have a tendency of using MSDN Magazine and Microsoft-Giveaways as their true source of information. This was the correct approach in the past when anything related to Mac or Linux was N/A (not applicable) for us true believers. 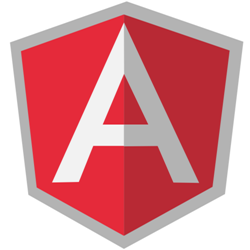 This approach has kept many believers away from AngularJS...but not any more! ...until it turned out that the others were right too! Microsoft used to be the system. Now it's one of many. It used to control a majority of the client devices, then became arrogant like IBM did - before Microsoft took over. And now it learned the same hard lessons: others are taking over. "let's get an Indian guy to fix this!" So they went and got Satya Nadella (సత్య నాదెళ్ల - I love these squiggly characters :). And oh-boy fix it he did! Did you know Satya was actually running Microsoft "Cloud Operations" before becoming CEO? His systems couldn't compete if they only ran Microsoft-stuff. So they opened to run everything. Have you noticed how often node.js is mentioned on MSDN Magazine or on Azure-articles? There's even a dedicated node.js developer center for Azure! And he extended this strategy to all of Microsoft. I love it :)! Microsoft stopped trying to force a Microsoft-Lock-In solution on us. The future is open...and compatible. For example, Microsoft dropped the old XML preference against JSON. It also means that Microsoft isn't pretending to have the better DHTML, better AJAX, better Data-Binding any more, but that it's now promoting what works - not what binds you to them. "you can play with the cool kids now, no more promoting knockoutJS"
Why should we DNN-Disciples care? We cannot learn all possible technologies - our time is too limited. We're actually forced to use similar technologies to become more effective as a community. Choosing the right technology is therefor crucial - also because our Open-Source contributions will be copied by others - and if our published "best-practice" examples used weak tool, then beginners will copy this - and fail on the market. So it's our responsibility to choose wisely. Not based on ideology like "Google's behind it" but based on criteria like "What works best" and "What has widespread adoption"
Hi Daniel, thanks for the great series of articles. I have build an Ionic Angular Mobile app (Android and IOs wrapped by Telerik AppBuilder) that uses my DNN site (PokerDIY) as a backend which is running on Azure. It's working well but the last piece of the puzzle if Authentication. There are so many different ways of handling this - what do you recommend is the best way of handling authentication with DotNetNuke, WebApi and Angular? So, DNN decided to go the MVC way? This is a good question. Basically you could go "cheap" and just use the dnn login module. Only real drawbacks is "unsexy" + you'll have a page reload. Alternately It should be easy to create a WebAPI for this...but...I'm guessing that you'll want to reload the page anyhow after authentication, because it's likely that some resources / scripts will have to load again. So probably the booring standard login would just work as well. Yes, MVC all the way. It's basically what 2sxc has been providing for a few years now, but the new thing is that skins (layouts) will also be MVC. This provides some architecture challenges. If you want to know more, read about it in the DNN Roadmap. My recommendation is to already create MVC-style apps (for example using 2sxc), so you'll be ready for the transition. You should try the AngularDNN module. Probably it save your time.